Nine years ago, Ben and I drove separately to a farm in Manchester, Tennessee. It was the perfect meeting point between our respective homes (I was in Nashville on summer break from college, and Ben was in Chattanooga job-hunting after graduating). We were beyond broke and had nothing but the clothes on our backs and a box of Clif bars, which I'm pretty sure was stolen from my parents' house. 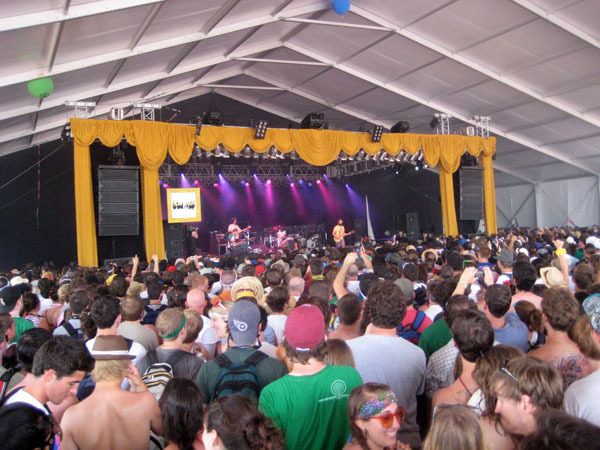 We made this pilgrimage for none other than the Bonnaroo Music Festival, a four-day, camp-out in the grass, dirty hippie type of event (and yes, that used to be me!). We mostly treated it as a spectacle - we wanted to see what all the fuss was about, spend some time together and go home. But once there, we found ourselves scalping tickets with the last $90 we had between the two of us and praying to the heavens that the tickets were not counterfeit! Well the tickets were real, and Ben and I spent the next few days sleeping in my car, eating Clif bars, listening to music, laying in fields and unplugging from the stresses of the real world. It was the beginning of a grand tradition. I think at last count, we'd been to five Bonnaroos, mostly with close friends after that first year. 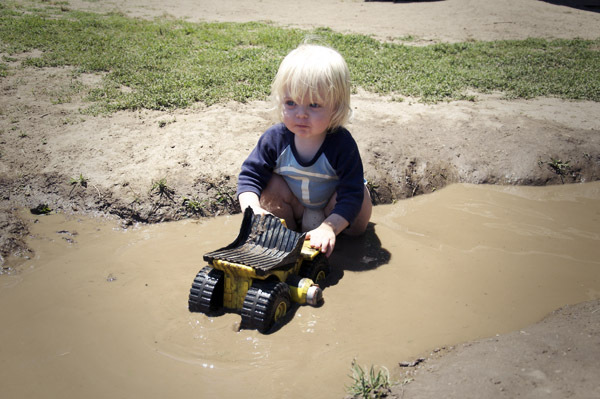 Some of my favorite pre-Max memories are from that hot, muddy, crazy festival! 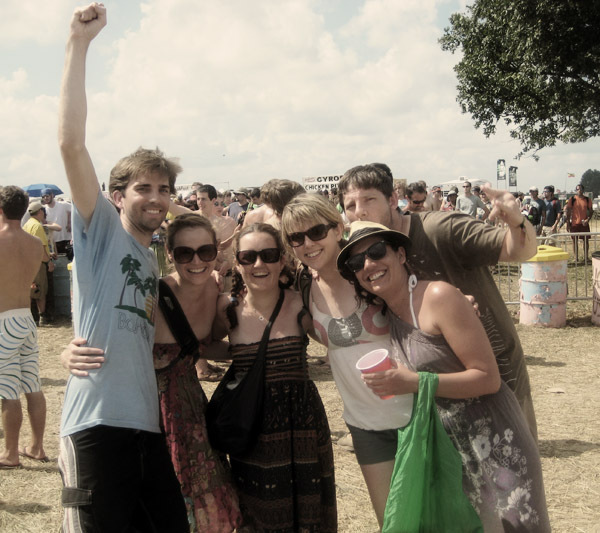 Bonnaroo 2012 started yesterday, and I have definitely caught myself daydreaming about those hippie days of roaming around, covered in mud, and sipping beers in the sunshine with music and happy people all around. I was a bit nostalgic, until I realized that today Max was actually channeling Bonnaroo. 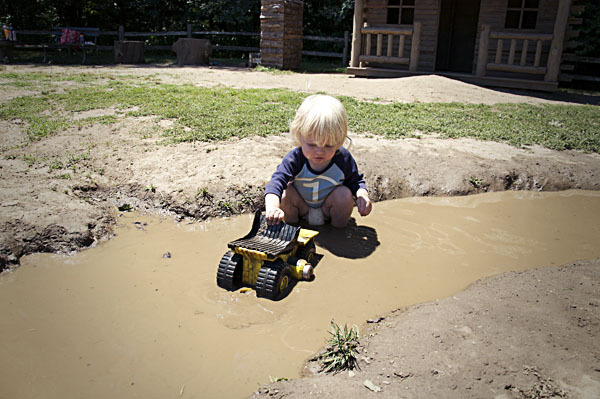 Check it out, we spent all morning playing in the Tennessee mud with friends! Max is my own little long-haired, barefoot hippie - his free spirit doesn't need a festival to break loose. He is unabashedly excited about life, easy to laugh, to cheer, to stomp his feet and clap his hands to the music. I wouldn't trade a thousand Bonnaroos for the chance to be Max's mommy, and that's a fact. Happy weekend, everybody! !